Happy Mardi Gras! Where are you all celebrating this day of revelry? In honor of this day, I thought I would post my favorite place I visited last time in New Orleans. NOLA is home to many great sandwiches that were invented here, but this places takes them to the next level. 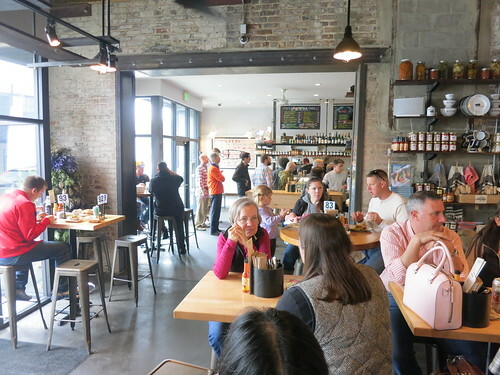 Yes, Cochon Butcher is a hip, "craft" sandwich place. And the sandwiches are amazing. The Muffuletta was invented at Central Grocery in New Orleans, but I believe the best muffuletta in the city is here at Cochon Butcher. The giant sandwich costs $12. Sure, there is something satisfying in the messy, old school sandwiches (and you shouldn't miss a pilgrimage to Central Grocery - still a great spot! ), but the muffuletta here is perfect. Great sesame bread, the right ratio of olives, various deli meats and mozzarella. Of course, the key is the fact that the meats they use at Cochon Butcher are housemade or house cured, so it's a flavor you won't get elsewhere. I'm late in posting about my visit to Willie Mae's Scotch House but decided to do so now because of the recent news of Willie Mae Seaton's passing. This great woman ran Willie Mae's Scotch House for decades until she passed away at age 99. 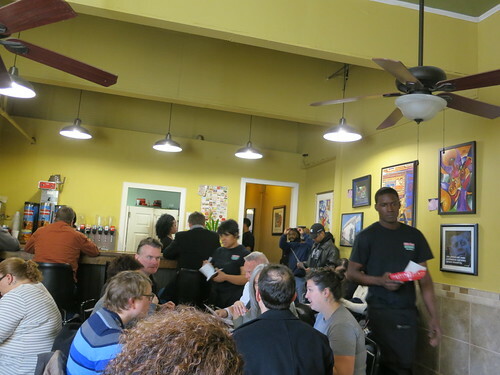 I had the chance to dine at Willie Mae's when I was in New Orleans for the last Foodie Hub North American Awards (formerly known as Chowzter). This hole in the wall had won a James Beard Award! Of course, Anthony Bourdain has been here, too. Willie Mae's is off the beaten path, but it's less than 2 miles away from the French Quarter, so the pilgrimage here is totally doable. The place was completely packed. You'd probably have to wait in line but thankfully they are quick in serving you and churning food out, so the turnover is high. 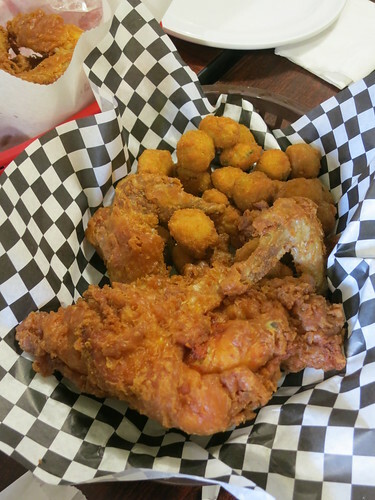 Willie Mae's fried chicken definitely deserves one of the top spots on any fried chicken list. The skin is super crispy, the chicken is juicy and seasoned well. We all dug in and loved it! Get it with a side of fried okra. Being the home of Tales of the Cocktails and where quite a few classic cocktails were invented, New Orleans is obviously a promising place to grab some cocktails! Thanks to the recent Chowzter North American Awards, which was held in NOLA, I was able to hit up a few bars in this great city. Now, this is not a comprehensive list by any means, but it's a good place to start! A tiki bar, naturally, and one of the best. The cocktail menu is divided into short, long, and communal drinks. Professor Remsberg's Punch came highly recommended, made with "fine old Guadeloupe rum", lime, and "a Caribbean spiced syrup discovered over 30 years ago in San Juan by the Professor himself". 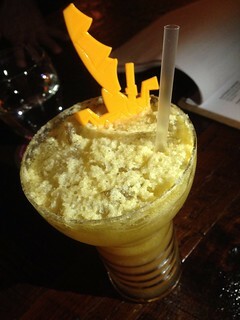 Beloved tiki classics like Mai Tai and Missionary's Downfall are obviously on there, as well. They also serve food like loco moco and dumplings, but I didn't get a chance to try any. 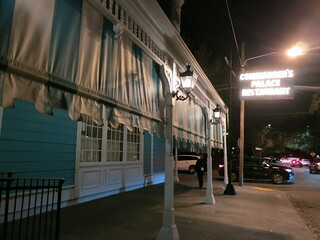 They serve food until 10pm and cocktails until 11pm nightly, which is pretty early for NOLA. 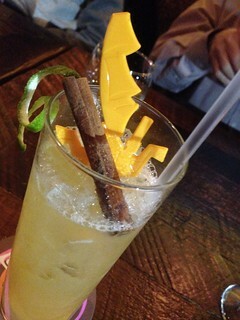 by the way, don't you love that rowing Moai stirrer? 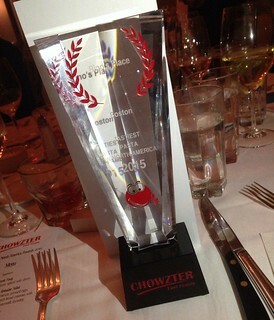 So last month I was in New Orleans for the Chowzter North American Awards. The award ceremony was held in the historic Commander's Palace! 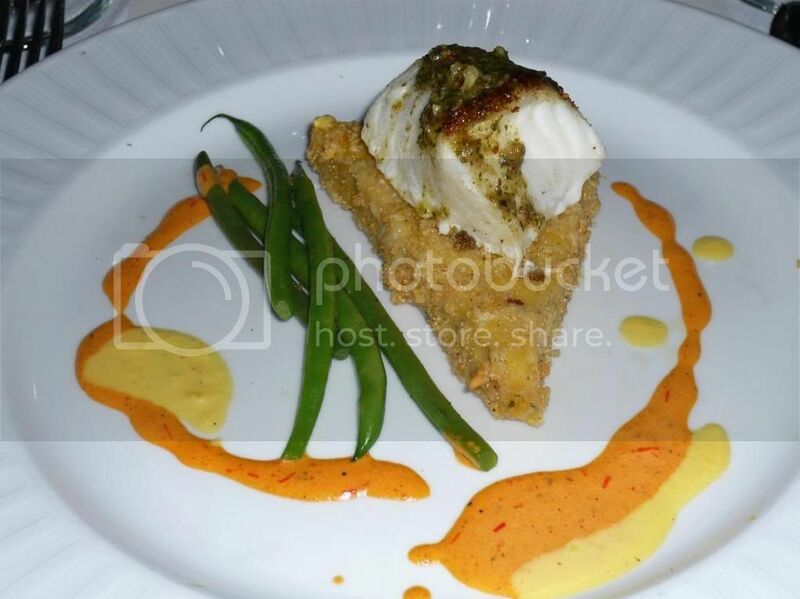 The restaurant was established in the 1880s and is an institution in this city. It was my first time there so I was pretty excited. During the award, Boston's Rino's Place took home the Best Pasta award for their ricotta ravioli. Yay! You can check out the list of winners through the link above. Now, on to the dinner at Commander's Palace. 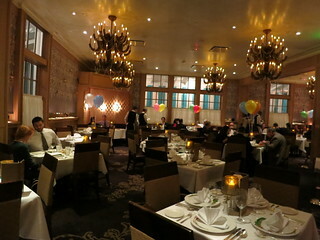 The dining room was very elegant, white tablecloth and chandeliers are, of course, to be expected. We headed upstairs for our awards ceremony and dinner. 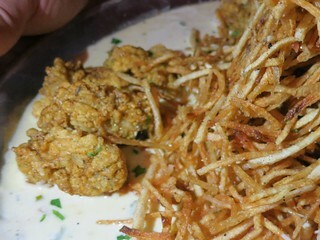 Before dinner started, we had some passed appetizers that included some great fried oysters. Po' boy. There are several theories about the origin of the name (and the sandwich) but most of them agree that the name originates from "poor boy". Basically, it's a poor boy's lunch. 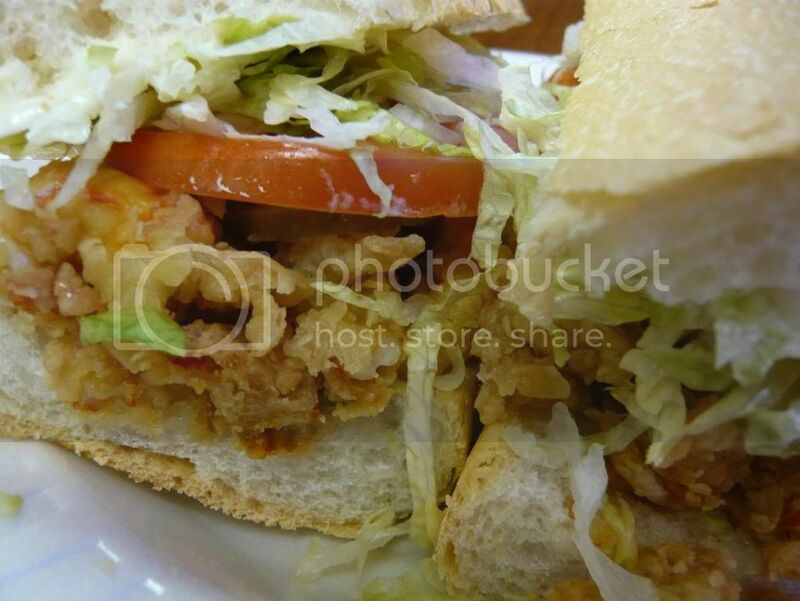 Nowadays, po' boy shops in New Orleans are ubiquitous and most po' boys are now filled with deep fried seafood such as shrimp, oysters, catfish etc. Crispy batter, meaty and fresh crawfish, "dressed" with lettuce, tomato, and mayo, but nothing overwhelming. 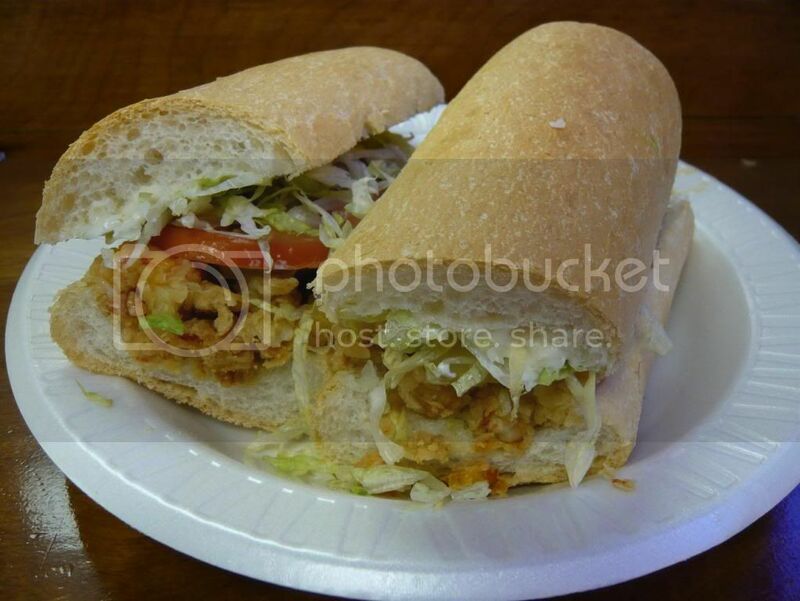 Simply put, po' boys in Los Angeles don't hold a candle to this sub. If you come to NOLA without trying one, you'll regret it. 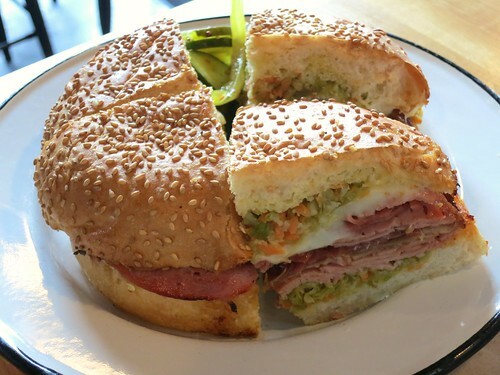 If you can't decide what to get, Johnny's Muffaleta (Muffuletta) sandwich may offer a solution. 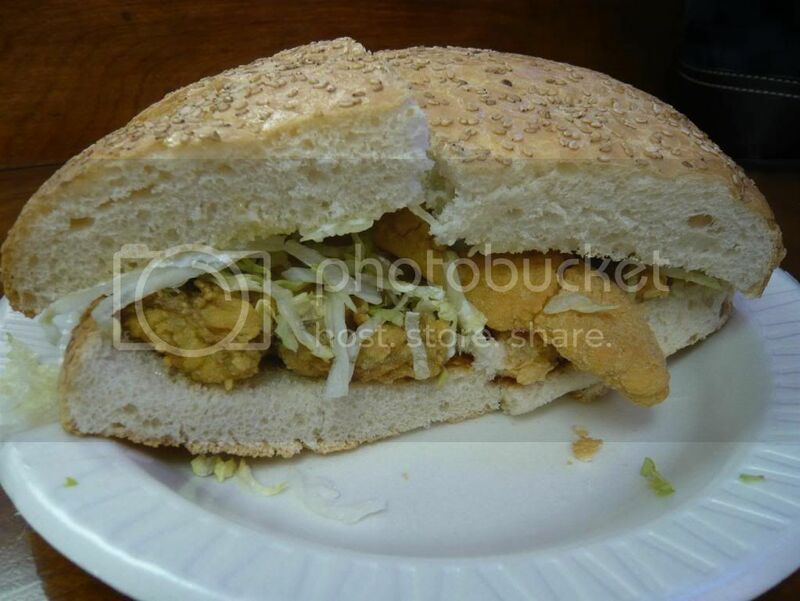 The muffuletta is a Sicilian bread, flat and round, and at Johnny's the muffaleta sandwich is stuffed with various fried seafood: catfish, oyster, crawfish, and what have you. 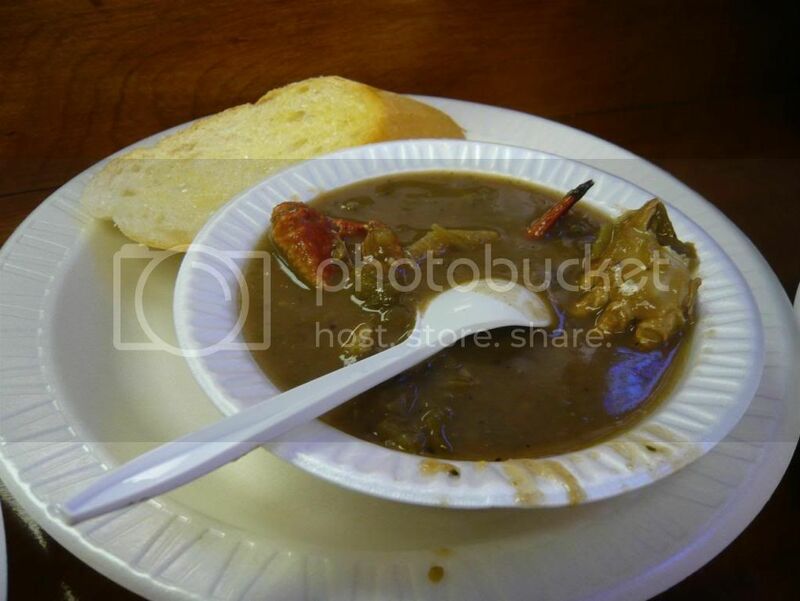 The gumbo was unremarkable and while good, you're bound to find better around town. In honor of Mardi Gras, I decided to do one of my New Orleans post! Cuvee was my very last meal there - the conference had booked the entire restaurant, open bar and all! The place was small that our group occupied the whole space (about 60 of us or so?). (I had like 2 ... or 3). 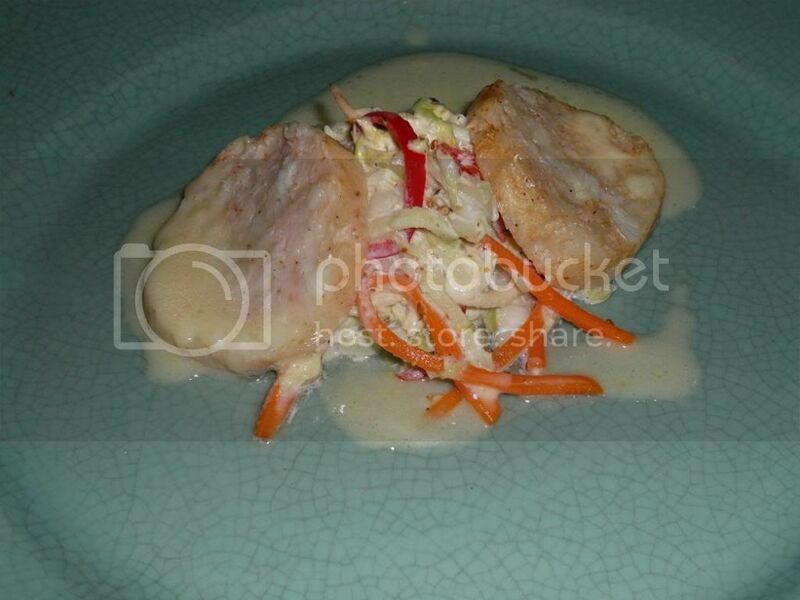 Very flavorful and tender. We only had 30 minutes at the bar so on top of eating these rillettes I also quickly went through a Sazerac and a French75. 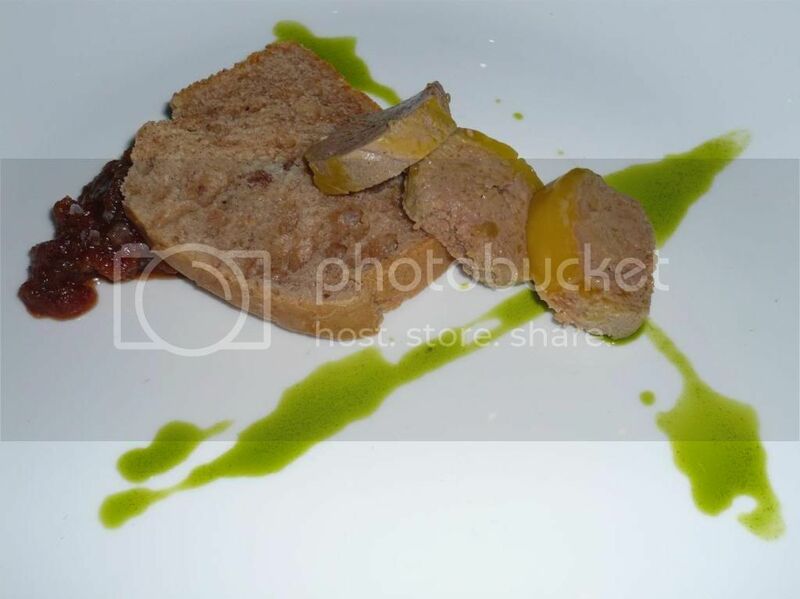 There was no way I wouldn't choose foie gras! 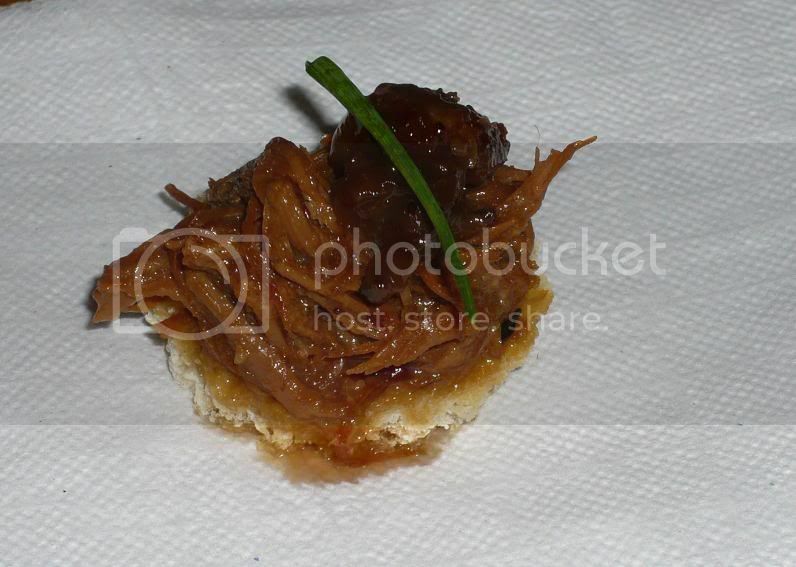 It is not the best foie gras I've ever had but it was pretty good and I liked the apple & honey chutney. I also thought the Riesling was a pretty good pairing. 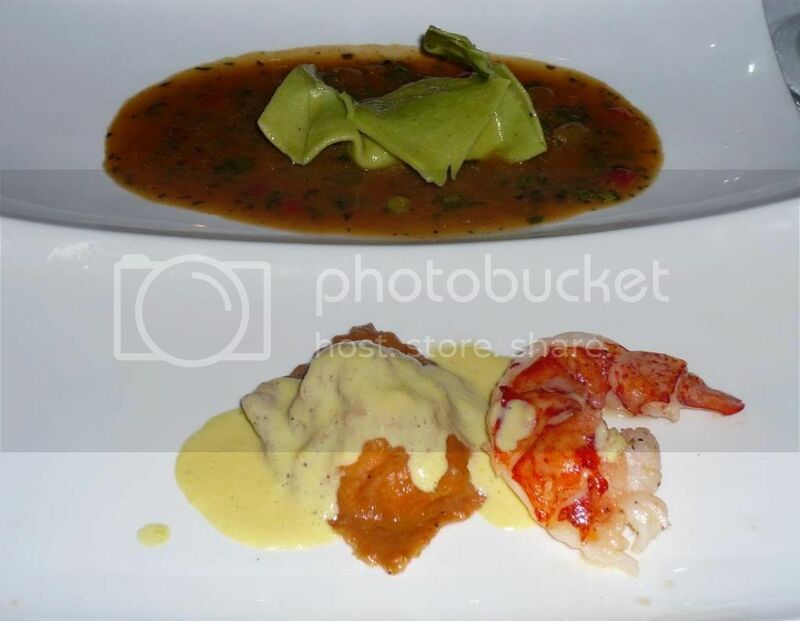 The highlight of this dish was the butter poached lobster with sweet corn puree. The lobster was fresh and nicely done and although both the lobster and the puree were on the sweet side they worked quite well, both texture and flavor - wise. 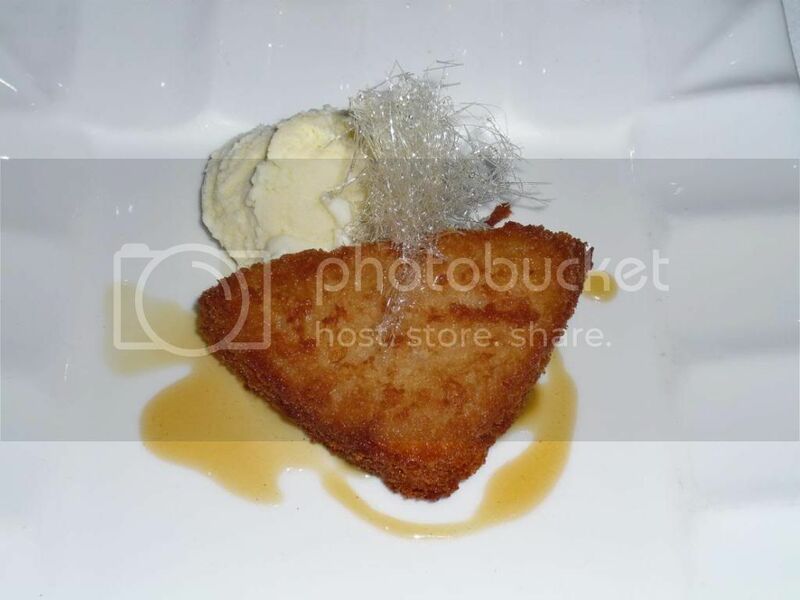 The seabass was just a tad overcooked, but I loved the polenta cake. 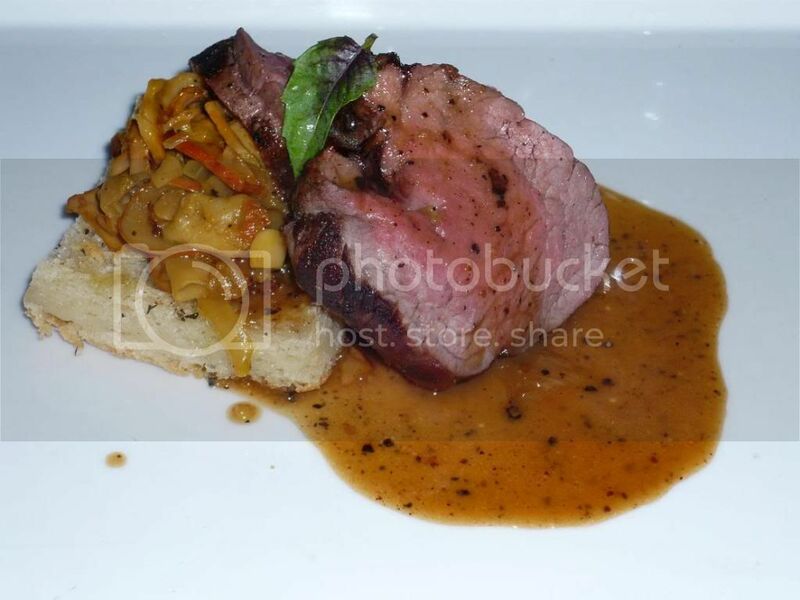 Course #5: Black Angus tenderloin. At this point I lost my menu notes ... probably too much wine or something silly like that .. The meat was not bad, and it was cooked pretty well, but it was a little on the dry side, although the sauce definitely helped a lot with it. Dessert: Pineapple beignets. 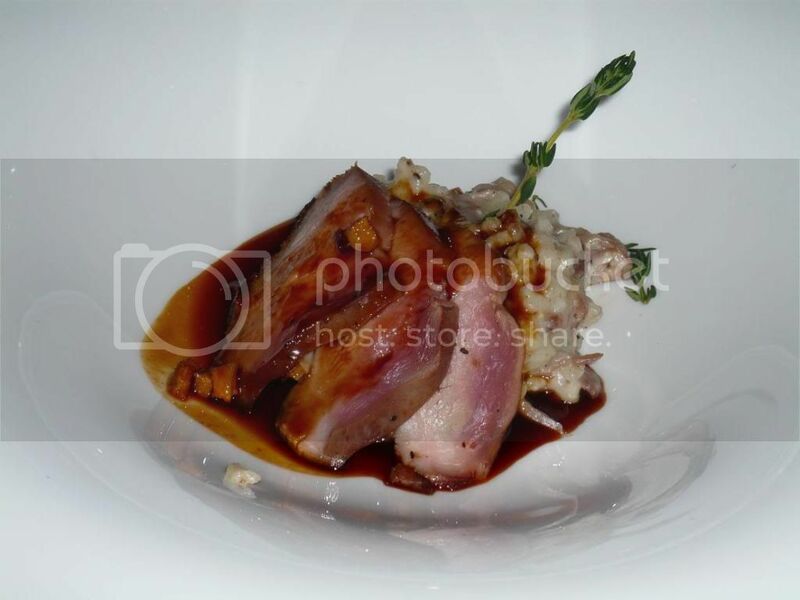 This was served with your selection with dessert wine/liqueur/coffee/tea, so I opted for some Nocello (hazelnut liqueur). 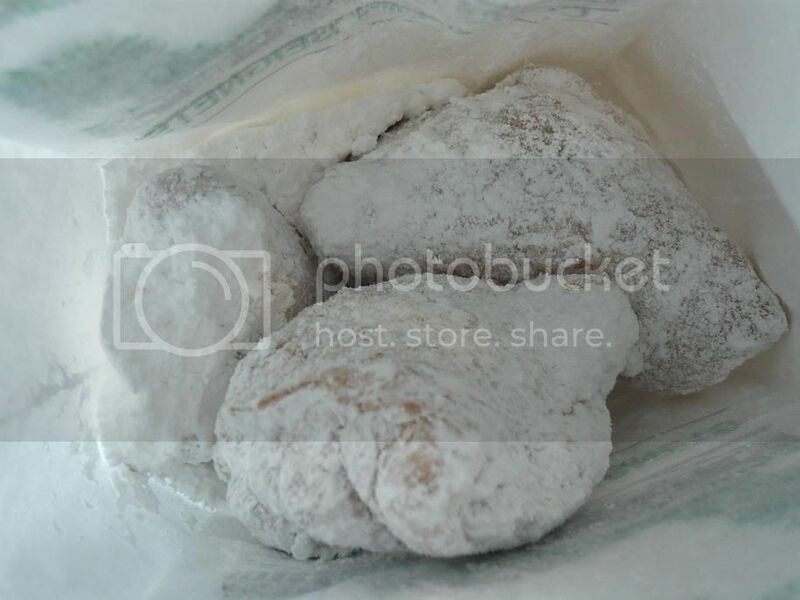 This was not really like the beignets I "normally" have, like Cafe du Monde's all dusted in sugar. 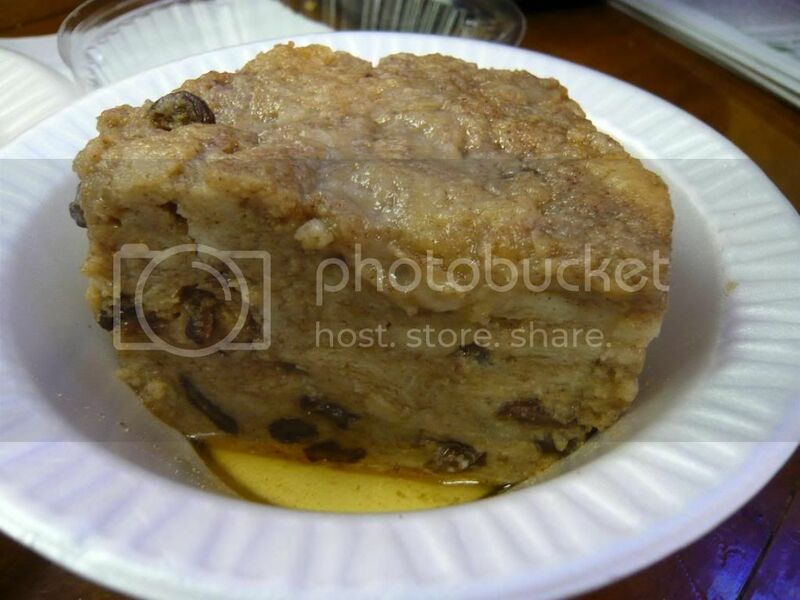 This was crispy and filled with pineapples. A very satisfying meal (as I drank the last drops of my Nocello). If you're in New Orleans and looking for a nice place for some Creole-influenced continental food - I recommend this place!